The currently volatile environment for UK retailers presents a significant challenge to the commercial property sector. Along with the estimated 85,000 jobs lost in UK retailing in 2018 is the worrying rise in empty commercial units. Figures published in the Scottish Retail Consortium-Springboard Footfall and Vacancies Monitor show hat one in eight high street shop premises lay vacant last month, with a 12 per cent town centre vacancy rate in Scotland, up the 11.1 per cent recorded last October. Steps are being taken across the nation to repurpose some of these vacant premises for residential, hotel, leisure or community use. However, UK retailers must also continue to repurpose their businesses to ensure they are relevant to the changing nature of consumer demands. Many of those which managed to avoid insolvency last year are now embarking on store closure plans and rationalising their portfolios. The trend of traditional retailers extending their online offering also continues, with some smaller stores diversifying by installing convenient customer options such as Amazon lockers and becoming click-and-collect points for larger retailers. Technological advances, including the use of mobile payment, scan and payment checkout apps, are also making the sector more efficient, while further progress in areas such as VR and AI offers an additional strand of support. In spite of these positive developments, there is no doubt that many of the larger retailers will continue to struggle with the size and cost of their property portfolios. Debenhams is continuing discussions with its lenders and is not ruling out a company voluntary arrangement, while the new management at Marks and Spencer is promising dramatic changes in range, style and customer focus. Meanwhile, other big high street names seek to negotiate reduced rents with their landlords to keep themselves trading. The changing nature of the marketplace requires retailers to make bold decisions to entice consumers and leverage value from their physical premises. Apple and Selfridges are both successfully doing this by making shopping at their outlets an experience. Selfridges credits its successful Christmas trading period to the staging of festive events which drove people into its stores, and Apple delivers added value for customers in its premises by holding free events. The progression of some online retailers moving to a bricks and mortar model could also make a positive impact on the commercial property sector. Amazon Go is reportedly looking at expanding its app-based convenience store brand into London with the potential of Amazon Books stores opening in the UK. Physical premises supported by a strong online presence point to the future direction of travel in retailing. While we expect more casualties in the year ahead, the changes that are currently being implemented provides some comfort to commercial property landlords as retailing continues its challenging evolution. The UK retail market is one of the most dynamic in the world and is the biggest employer in Britain; it is also one of the most adaptive to change. But landlords and tenants must act quickly to stem the tide of store closures and declining footfalls. A WEAK retail sector is dragging down an otherwise strong commercial property market in the north, according to a new report. a decline in demand for retail space, largely driven by changing shopping habits. The figures further reveal that enquiries for retail property have fallen for the fourth consecutive quarter. The outlook for the industry is no brighter, with an expectation retail rents will continue to fall over the next three months. Investment enquiries are also reported to have picked up for the first time in nine months. The encouraging figures were boosted by the industrial and office sectors,which both reported an increase in demand, the former from a net balance of 26 per cent of respondents and the latter, 48 per cent. enquiries regarding office and industrial assets are on the increase. RICS Northern Ireland chairman, Brian Henning said the retail figures mar an otherwise positive market performance. “Changes in the preferences and behaviours of consumers are resulting in a continually challenging landscape for the retail sector,” Mr Henning said. SCOTLAND’S commercial property sector rode a financial services wave after Barclays’ Glasgow acquisition but while the “mood music is very positive, ultimately there is a dark cloud above our heads in the form of Brexit”. Experts at the heart of the sector report a “spectacular” success this year with banking at its centre, as new tech standards officially reflect greater high-end expectations for fit-outs that consider elements including wellbeing and include requirements such as break-out spaces at ground level. Two leaders in the commercial property field who are also members of the British Council for Offices, the sector membership organisation which researches and develops best practice, said wellbeing is an increasingly important element in an accommodation package. Clydesdale closed 110,000 sq ft at 177 Bothwell Street in Glasgow and fund manager Baillie Gifford signed a deal with Chris Stewart Group to pre-let 60,000 sq ft in the Mint Building in Edinburgh. Barclays’ deal with Drum Property Group for a 470,000 sq ft campus at Buchanan Wharf in Glasgow carries extra weight as an anchor as it is an acquisition. Stephen Lewis, managing director of Bellshill-based HFD Property, said the move “is not just a fantastic result for Glasgow but also the Scottish property market and in the face of continuing Brexit negativity it is very comforting to see a multi-national corporate invest significantly in the city and continue that long-term investment”. He pointed to M&G’s Grid Building and the Cadworks in Cadogan Street in Glasgow to also help provide “some other much-needed high quality grade A space”. Mr Lewis said: “In terms of highlights there’s certainly a continuing focus on occupiers. Mr Lewis, whose development’s include 177 Bothwell Street, said that more broadly the mood music is “very positive but ultimately there is a dark cloud above our heads in the form of Brexit”. He said: “At the very best it will cause occupiers to pause until they understand the outcome of what that end decision is, and worst case is some occupiers may review their requirements and either reduce space or look at other cities to invest in and grow their business as opposed to within the UK. He said: “For us as a business at HFD we are continuing o develop. “We secured another site at 100 Bothwell Street and will continue to secure more sites. HFD finished its first development in Aberdeen in 2016 – the 220,000 sq ft headquarters for Wood. Mr Lewis said: “We know Aberdeen relatively well and we are building another site there. Angela Lowe, Edinburgh-based senior director at CBRE, above, said that focusing on a Scottish capital context it has been “another strong year in the market”. Baillie Gifford is taking space capable of accommodating 700 staff in the building, part of the £85m regeneration project at The Registers in St Andrew Square. Ms Lowe said: “The grade A city centre market has done really well. “As a result of that people are looking at office refurbishments in a different way in Edinburgh. “In a lot of the office buildings now there are opportunities to do proper refurbishments on them to create a grade A product that goes head to head with new build space. “We have seen some good buildings coming through this year and the bar being raised in terms of the quality the product being offered, the quality of the common parts, the cycle facilities. “The market expects a lot more from an office now than just put a reception desk and not much else. She added: “Certainly we are seeing a quality shift in the offering to meet what occupiers are looking for. “Everybody wants break-out spaces at ground floor, not just a sterile reception, they want a collaboration space and more of a concierge style of management in a building. The results of the EU referendum have been detrimental to the commercial property sector with the number of constructions continually decreasing, according to an analysis of the figures by Savoy Stewart. With figures from the Office of National Statistics (ONS) showing a monthly decline in the number of new UK commercial construction work undertaken by the private sector since December 2017, the property firm analysed the number of commercial properties available to let in 20 of the biggest cities in the UK. As expected, the city with the highest number of commercial properties to let was England’s capital city London, which had 6,137 properties in November 2018 available for businesses to rent. However, figures from estate advisory organisation Colliers claims that 90 percent of London office availability is constituted by second-hand product, while new/refurbished availability is down by over a third in the past year. Scotland’s capital city Edinburgh had the second lowest number of commercial properties on the market to let (133). 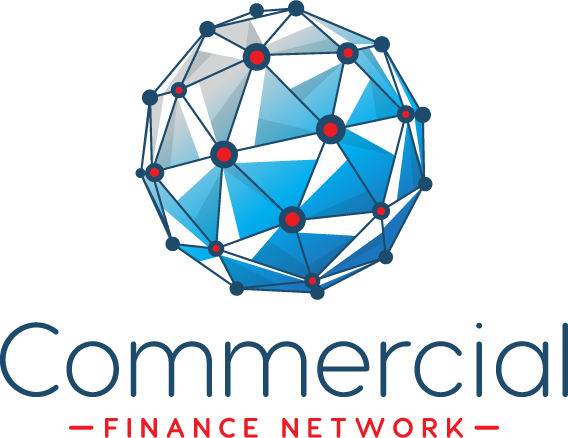 And although Edinburgh’s figures seem to be less intriguing than anticipated, it seems Scottish commercial real estate has experienced a bounce back, with a total return of 1.7 percent in the third quarter of 2018; a 1.4 percent rebound in the second quarter. The figures, which were extracted from property website Zoopla for the month of November 2018 also showed that The cities with the highest number of commercial properties to let in November 2018 on Zoopla were: London (6,137), Derby (822), Birmingham (724), Manchester (501) and Leeds (481). The cities with the lowest number of commercial properties to let in November 2018 were: Preston (153), Coventry (145), Belfast (145), Edinburgh (133) and Newport (128). How is the UK commercial property sector performing? The UK commercial property market is rapidly changing and facing highly uncertain times in the face of Brexit. We have a look at how the industry is evolving and what commercial property stocks to watch. 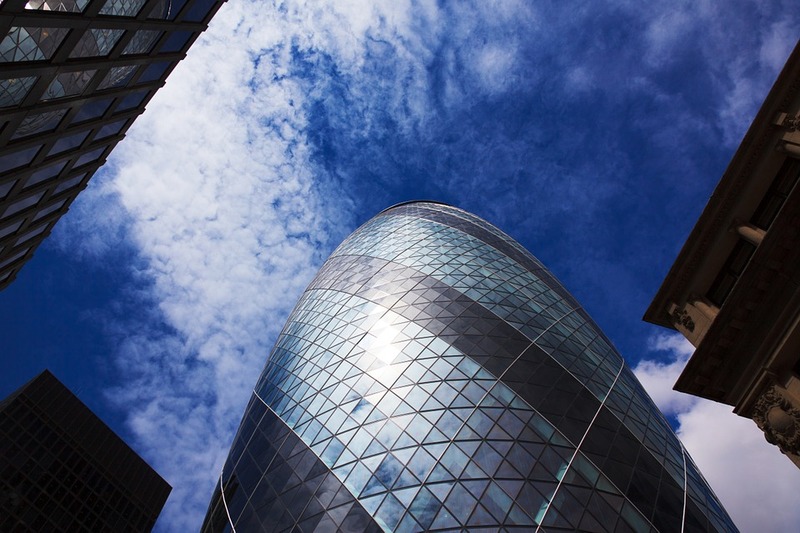 The UK commercial property sector has undergone sweeping changes in the past three years. Brexit has provided a shock to the system by knocking valuations, causing a severe slowdown in rental growth and casting a dark cloud over future demand for British property, but longer-term market trends are also reshaping the industry. The EU referendum result and the subsequent fall in the pound has lifted demand for British exports and industrial property while demand for office space has remained resilient – although it is unclear whether this will still be the case when the UK formally leaves the EU, especially if no trade deal is in place. Meanwhile, structural changes have also taken their toll as high streets and shopping centres continue to empty out amid the rise of online shopping. We have a look at the transformation occurring in the industry and go through the top UK commercial property stocks that are affected. How has UK commercial property performed since the Brexit vote? The performance since the referendum in June 2016 has been mixed but, looking at the overall picture, it is clear the vote to Leave has had a detrimental impact on UK commercial property. Construction has started to decline, the growth in rent has significantly slowed and while valuations have largely held up, there are still fears of a Brexit-fuelled crash around the corner. Figures from the Office of National Statistics have shown the amount of new UK commercial construction work undertaken by the private sector has been declining month-on-month since December 2017, while rental growth has plunged to just 1.5% in September from well over 4% in the months running up to the referendum, according to GVA, the UK’s largest independent property agency. Rental growth over the 12 months to September slowed to 1.4% from 1.6% in August, and the mid-range of the Investment Property Forum (IPF) Quarterly Consensus forecasts annual growth in 2018 will be just 0.9% (low of 0.1% to a high of 1.8%). In 2019 that is expected to slow even further to just 0.4% (low of -1% to a high of 1.6%). The slowdown in rent has hit all types of commercial property but there are both pockets of resilience and weakness in the market. The growth in rents for industrial property has remained the most robust since Brexit, running at about 5% at the time of the referendum and, although on a downward trend for the last three to four months, still running at about 4% per year. Rents for office space plunged after the vote from 7% per year to near 1% but has slowly ticked up since the middle of 2017 to run at over 1.5% today. Last is retail property, which has become the worst performing segment of the market. Owners were already struggling to lift rents before the referendum, growing at an annual rate of about 1%, but the increasingly tough retail environment and the loss of multiple major retailers has been pushing average rents down since the middle of 2018. Still, returns from industrial properties in October were less than half their 2018-high in June and significantly lower than the post-Brexit peak seen late last year and returns from offices have also been lower this year compared to 2017. Devaluation of the pound is a boost for industrial sectors: The fall in the pound has increased demand for British exports and led to higher demand for industrial space. Landsec and British Land have been the two dominant options for investors looking to gain exposure to commercial property in the UK, but both have suffered this year because of their over-exposure to retail and the lack of industrial property within their portfolios. Landsec has had to writedown the value of its retail assets this year, such as the Bluewater shopping centre in Kent, and British Land paid the price for having as much as half of its portfolio made up from retail properties by swinging to a £42 million pre-tax loss in the first half of 2018. This has prompted both companies to unveil new strategies to shift away from the struggling retail space, double-down on their respective office developments and, most notably, move into house building by converting old retail outlets into homes. Both British Land and Landsec are focused on developing multi-use properties: those that can host a variety of businesses/residents and accommodate different tenants. This involves building a mixture of developments that compliment and create demand for one another, placing restaurants near offices, offices near homes, homes near shops, and so on. It also makes new developments more versatile by facilitating different types of tenants, allowing them to market vacant retail space to industrial firms, for example, depending on how demand shifts in the market. British Land’s development pipeline for new offices is based around its ‘campuses’ model. Overall, its focused on high-quality multi-use assets primarily in London and the South East. Its retail property portfolio continues to be slimmed down with around £2.5 billion worth of retail assets sold since April 2014, including department stores, shopping centres, retail parks and superstores. The headline news at Landsec centres around its plans to make £3 billion worth of new developments after Brexit, subject to a ‘good deal’ being struck between the UK and the EU. If all goes according to plan, then the firm intends to start all the work within 12 to 18 months after March 2019, building £2 billion-worth of new office space and £1 billion-worth of mixed-use developments. However, it has warned of the possibilities it could make a U-turn if ‘a chain of events that are outside of everyone’s control’ emerges. Although both companies are looking to reduce their exposure to retail property, they are also looking to use their large portfolios to their advantage by converting idle space into new homes. Consultancy firm CACI has estimated that half of all retail centres in England and Wales have too much retail space. UK high streets will never be what they were and are emptying out as part of the long-term shift to ecommerce and both business and government are starting to act. UK Chancellor of the Exchequer, Philip Hammond, has already announced plans to speed up the process that allows empty shops to be converted into homes and launched a £675 million fund to ‘boost retail and bring properties back into use as homes, offices and cultural venues’. This has encouraged UK commercial property stocks to enter an arena they have previously avoided. British Land expects up to 10% of its business to be made up of residential property within just five years by focusing on Build-to-rent, and Landsec’s £1 billion mixed-use development is based around converting old retail space at its suburban retail sites into 4000 new London homes (starting down Finchley Road and in Shepherd’s Bush). Other companies have also signalled they will make a similar move, with the likes of shopping centre owner Intu stating it has 470 acres of ‘potentially developable’ land like car parks in its portfolio, with plans to redevelop this space for 5000 new homes already under consideration. Why is UK retail property struggling? Average rent for retail property declined 0.9% in the 12 months to September, according to GVA. As more surplus stock enters the market, those retailers still battling the tough environment have renegotiated their terms with landlords, claiming it is better for them to stay in business and pay less rent than shut up shop and leave the landlord with an empty property. However, the threat of empty buildings will wane as the opportunity to convert them into in-demand property emerges. If turning the high street into homes offers particularly good returns, it could even accelerate the closure of struggling retail outlets as landlords look to convert them sooner rather than later. Investment in retail property in the three months to the end of September totalled just £1.2 billion, the third lowest amount on record since the financial crisis, according to BNP Paribas, and down from £2 billion a year earlier. Again, shopping centres stand out, with quarterly investment hitting the lowest level on record. Property agent JLL also backs up that finding, reporting mergers and acquisitions of shopping centres totalled £558 million in the first half of 2018, the lowest figure since records started over 20 years ago. Investment in retail warehousing has continued to rise as growing numbers of ecommerce players, including giants such as Amazon (which is reported to be snapping up space in preparation for a possible launch of its US grocery chain, Amazon Go, in the UK), continue to grow their logistics and distribution networks to serve customers. BNP reports investment in warehousing rose 13% in the third quarter (Q3) to over £660 million, however total returns from this segment have started to come under pressure during 2018. It was only last year that Hammerson put forward a £3.4 billion takeover for its rival before pulling out of the deal in April because of the rapid deterioration in the market, much to the annoyance of Intu shareholders who felt they had managed to lock in a good price that they are now unlikely to get. Intu shares were valued at 234.9p under that offer but trade at just 190.8p today. Intu has since been approached by a consortium of investors led by the company’s deputy chairman John Whittaker alongside Peel Group, Saudi Arabia’s Olayan Group and Canada’s Brookfield Property Group, which values the company at just £2.8 billion. The deadline to finalise the offer has recently been extended for the third time and expires at the end of November. In addition, Hammerson had to fend off attempts of a takeover by French firm Klepierre that valued the firm at £6.35 per share, claiming it undervalued the business. Today, Hammerson shares trade at just 420p and it has attracted investment from Elliot Advisors, the notorious activist investor that aims to change how poor-performing companies are run. Hammerson, in attempt to win over its new investor, has unveiled plans to sell off over £1 billion worth of properties by the end of next year and buyback up to £300 million worth of shares. While Intu is looking to revamp its retail space, Hammerson seems more akin to selling off its poor-performing space and returning the cash to shareholders amid the lack of investment opportunity in the retail space. Hammerson has delayed the huge expansion of the Brent Cross shopping centre in London because of the rapid amount of retail closures. Still, it holds confidence in the long-term future of its portfolio with plans to invest in its flagship centres. Landsec is doing the same as part of its mixed-use development plan by highlighting the ‘excellent potential for a new town centre at Lewisham where it already owns the Lewisham Shopping Centre. Demand for both city and regional offices has held steady over the last two years but this will be tested as the Brexit deadline draws nearer and new models around flexible leasing grow in popularity. GVA reported the amount of new office take-up in London during Q3 was up 6% year-on-year to 3.9 million square feet and expects new office completions in the capital to peak in 2019 at over seven million square feet. The amount of new regional office space is also set to hit a new high this year after eight million square feet of new space was introduced in the first three months of 2018, on course to surpass the record 10 million square feet added last year. Although businesses are still moving into new offices, there are reports that many smaller businesses have delayed making any major decisions until the post-Brexit picture becomes clearer. On the other hand, sectors that are expected to be the most affected by the UK’s departure from the EU such as financial services and the creative industries still account for most of new office space: 34% of new office space taken up in Q3 was by technology, media, telecommunications and creative firms while 18% was snapped up by financial services. This could be a signal of confidence in the face of Brexit, but many still fear demand for office space could falter should the UK and EU not strike a future trade agreement that meets their needs. Although valuations and rent for UK office space have continued to edge higher since the referendum, the rate of growth has significantly slowed and hit stocks like Workspace and IWG. Workspace, London’s leading provider of office and studio space, saw the value of its portfolio rise 2.6% in the six months to the end of September but said this still caused an 18% drop in profits, claiming the valuation rise was considerably lower than the previous financial year to the end of March 2017, when its portfolio value surged to £2.3 billion from £1.8 billion and doubled annual pre-tax profits. IWG, despite its international exposure with over 3000 offices in 100 countries, has also struggled because of its home market in London where it is currently refurbishing numerous major locations. When it issued a profit warning in October, it said Brexit and a fall in US earnings was to blame. US startup WeWork has ruffled the feathers of many in the office property game. The company ‘transforms buildings into beautiful, collaborative workspaces’ and has thrived by offering large shared-services centres that help accommodate small businesses and freelancers seeking more flexible leasing terms. Numerous London-based companies are introducing alternative models to take on this approach by companies like WeWork. British Land plans to make its terms more flexible to accommodate the needs of smaller businesses, spearheaded by its flexible office brand ‘Storey’. Landsec is launching a new flexible office product early next year with an initial 36,000 square feet of space down Victoria Street in London and expanding its ‘Landsec Lounge’ concept into more of its office blocks, essentially a shared café space that encourages networking between employees of different tenants in the building. IWG already has its own flexible office brand named Spaces but has lost ground since WeWork became the biggest occupier of offices in central London (after the UK government) earlier this year. GVA forecasts industrial rents to grow by 3.7% in 2018 before slowing to 3% in 2019 and the segment should continue to outperform the wider market. The amount of distribution warehouses being taken up in the first nine months of 2018 was up 13% from the year before and this was spread across the country with the Midlands accounting for over 35% of total take-up compared to the South East at 19% and the North West at 17%, according to BNP. Total investment in industrial property in Q3 was 19% higher than the ten-year Q3 average and BNP has said the best performers are industrial and logistic assets in London and the South East, particularly those with more than one tenant. The position of the two dominant commercial property stocks in London has been disrupted by Segro, which owns warehouses across the UK and Europe. Earlier this year the company’s market cap surpassed that of British Land and today is valued at £6.15 billion, only a fraction behind Landsec’s leading valuation of £6.4 billion. The rise in demand for storage and distribution centres has helped lift Segro’s performance and the company’s decision to sell out of retail space after a review in 2011 has proven a to be a good one. While both British Land and Landsec currently trade at significant discounts to their net asset value (both trading at about a 38% discount), Segro currently trades at a slight premium. Alternative commercial property, albeit a smaller segment, is outperforming the market and grabbing attention. This includes everything from student accommodation, retirement housing, healthcare facilities, leased hotels, data centres and self-storage providers. For investors, there is plenty of opportunity to gain exposure to some of these sectors. According to JLL, the gap between supply and demand in UK student accommodation has closed significantly since around 2011, but demand still comfortably outstrips supply: there are around 1.8 million full time students in the UK compared to around 1.65 million beds. The amount of beds on offer directly from universities has virtually stood still for well over a decade, contributing less than 800,000 beds. The gap has been closed primarily through direct letting. Direct lets to students has risen from just tens of thousands of beds back in 2005 to between 900,000 to 1 million this year. Unite Group, the FTSE 250-listed student accommodation provider, saw pre-tax profits jump to £142.5 million in the first half of its financial year compared to £83.9 million a year earlier. The dividend was hiked 30% to 9.5p and the firm said it plans to add 6500 new beds over the next three years, with almost 3100 new beds being added for the recently-started 2018/2019 academic year. The other sector with major representation on the London Stock Exchange (LSE) is self-storage through companies such as Big Yellow Group, Safestore and Lok’n Store. Big Yellow’s results for the six months to the end of September showed a 7% lift in revenue, a 9% rise in adjusted pre-tax profit and a 9% increase to its dividend to 16.7p, although reported profit fell 22% because of a smaller valuation gain. Its current development pipeline is expected to add around £17.4 million in annual net operating income at a development cost of £198 million. In September it raised over £65 million through a placing priced at £9.30 per share, with the stock now trading closer to £9.10. Safestore is the largest self-storage provider in the UK and its Q4 results to the end of October rounded off a solid year for the firm. Quarterly revenue rose 11.6% to outpace the annual increase of 10.4%. On a like-for-like basis, occupancy levels and prices both rose with the final quarter again outpacing the rest of the year, implying momentum has built as it enters the new year. Lok’n Store is a smaller player in the market but growing. Its annual results for the year to the end of July showed a 6.6% lift in revenue to £17.8 million with a 34% rise in pre-tax profit to £5.3 million. Its dividend was raised 10% to 10p per share. Having added three new branches, it plans to do the same again in the current financial year. Its current development pipeline will take it to 42 stores. UK commercial property has been tested over the past two to three years but is yet to go through the biggest challenge on the horizon. While the retail sector will continue to undergo structural changes, both office and industrial space are under threat from the potential impacts of Brexit: if barriers to moving staff start to arise then the demand for office space could decrease as companies shift operations abroad and any problems moving goods could mean the boom in British manufacturing and exports could be short lived. Since 2013 overseas purchasers have accounted for anywhere between 40% to 50% of annual property investment in the UK, according to GVA. This peaked at the top end of that range in Q3 of 2017 as foreign investors continued to take advantage of the falling pound. Since then, overall investment levels have risen but domestic buyers have made up more of the pie, with foreign buyers accounting for just over 40% of all annual investment as of the Q3 2018. The flow of this substantial investment, having already fallen, could also change depending on how Brexit pans out. The other big but certain consideration on the horizon is rising interest rates. While this will help those with tenants on inflation-linked leases to grow rents, it also means lending and mortgages becomes more expensive for both developers and tenants. In these uncertain times, modern commercial real estate landlords and operators have turned to technology and data to weather the storm and gain a competitive advantage. Those that do so are arming their companies with an ability to quickly pivot operating models, reallocate investment to counter risk and capitalise on opportunity. The right software lets you future-proof your business, enables you to understand performance in real-time and most importantly helps you predict what’s next – the biggest hotspots and opportunities, which team members are doing well, and who needs some support. You don’t have to look far to see the transformative power of data and examples of how it is successfully being applied to drive digital transformation. Take the financial sector, where unleashing the power of data has not only streamlined workflows but also enabled firms to grow their businesses through powerful AI applications that personalise their services. According to a 2017 Forrester report, there is an increasing gap between financial firms that embrace technology to fuel growth and business transformation and institutions that continue to do business in traditional ways. The evolution of the stock market also highlights the value that technology and actionable data unlocks. Look at the New York Stock Exchange. Thirty years ago it was characterised by highly inefficient and manual processes and opaque information. Today? Technology has transformed the way the market operates and traders are able to leverage real-time data and algorithmic trading to execute deals in nanoseconds. The commercial property sector is making great strides in using new software offerings such as leasing and asset management platforms to capture and analyse data. Landlords and brokers are using the resulting insights to make better decisions that move the needle. We’re fast approaching the next major frontier – market benchmarks. Using real-time market data to make better decisions has been the standard in our own backyard for other property types such as multi-family and hospitality for some time. RealPage Yieldstar® helps PRS owners leverage market data to determine pricing in real-time and for hospitality the STR Global Report helps landlords benchmark a hotel’s occupancy or revenue that day. 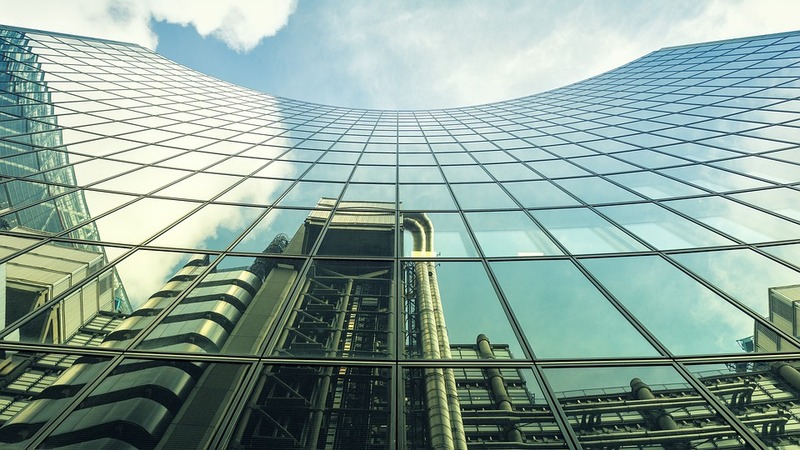 Unlike PRS real estate or the hotel space, when it comes to office, industrial or retail properties, market leasing data on pricing, tenant demand or operating efficiency within buildings is neither transparent to the market nor recent. We are working hard to develop the ultimate market benchmark. In June, we announced plans to launch VTS MarketView™ – the industry’s first real-time benchmarking and market analytics. For the first time, VTS customers will be able to compare their own property-level performance against market-wide data on our platform. Aggregated and anonymised, this data and insight will be embedded in users’ daily leasing and asset management workflows and presented in context to drive better decisions, informed by key market-wide metrics such as net effective rents, concessions, leasing spreads and velocity, level of tour requests and deal conversion rates. 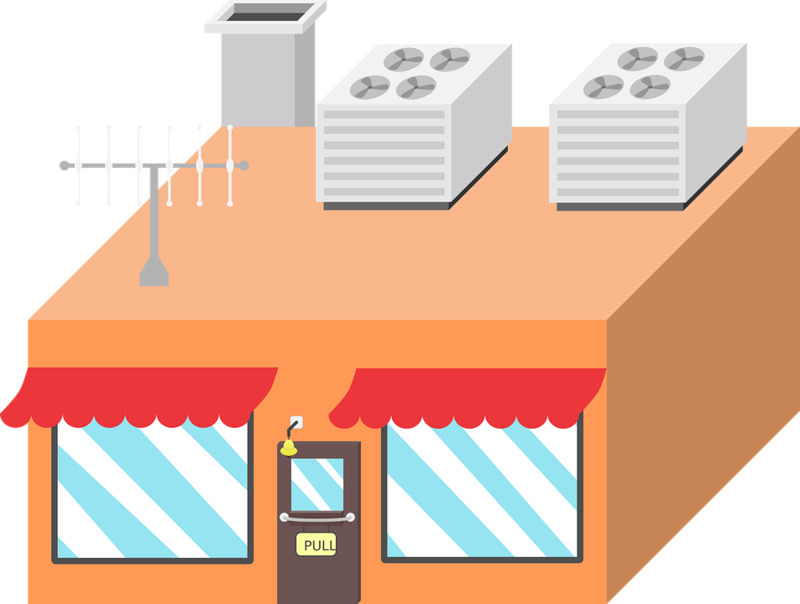 For the commercial property industry, the possibilities for how technology and data can be applied are endless. For example, AI could be applied to real-time market benchmarks to provide landlords with property-specific predictions and recommendations for maximising asset value. These are exciting times, but not without risk. Now, more than ever, it’s time to embrace the data revolution or risk being left behind. Glasgow has just witnessed a record quarter for office deals, with city centre occupier take-up exceeding one million sq ft for the year to date, according to data from JLL. Thanks in large part to Barclays, which re-defines the ‘city centre’ parameters to cross the river Clyde, total take-up across Glasgow’s city centre reached 614,466 sq ft between July and September, spread across 31 deals. Glasgow’s record quarter for office transactions brings the city centre’s total take-up for the year to date to 1,192,689 sq ft, with three months of the year still remaining. By marked contrast, office occupier take-up for 2017 totalled 627,313 sq ft. In the largest deal of the quarter, and the year so far, Barclays took a 470,000 sq ft pre-let at Buchanan Wharf. Other notable deals in the city include 60,000 sq ft take-up at 123 St Vincent Street, and Glasgow School of Art and CXP Limited both signing new deals for more than 10,000 sq ft of city centre space. In the first six months of 2018, take-up of city centre office space amounted to 578,223 sq ft, which was already boosted by notable major pre-let activity to the HMRC at Atlantic Square, and Clydesdale Bank’s 110,955 sq ft pre-let at 177 Bothwell Street. JLL have been involved in four of the top five largest deals in 2018 to date, and almost a third of all transactions this quarter. 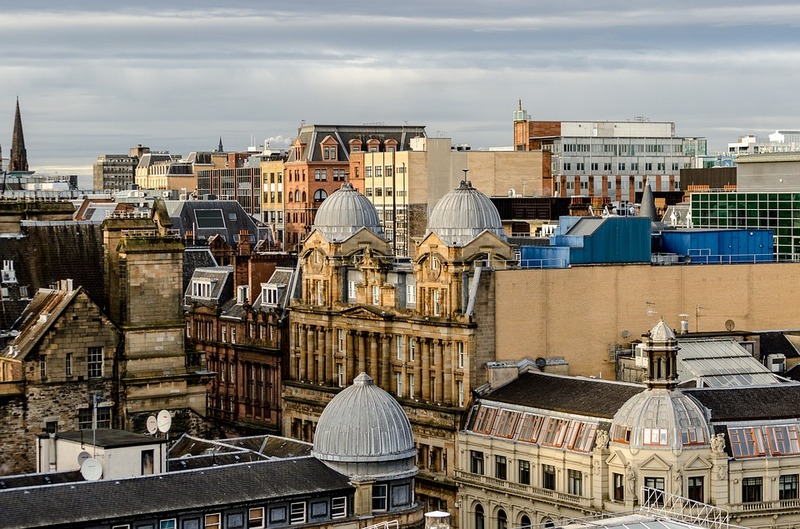 According to JLL, Glasgow’s office market is continuing to attract activity and proving itself to be a desirable location for business to operate. Alistair Reid, director at JLL, said: “With total take-up already exceeding 1 million sq ft, we anticipate that 2018 will be the best year for office take-up in Glasgow in recorded history. Along the M8, JLL is reporting that Edinburgh’s commercial property market is maintaining its strong performance for office occupier take-up, transacting over 300,000 sq ft of office space during the last three months. According to JLL, a strong third quarter ensured that Edinburgh has already broken the annual 10-year average, following a record-breaking 2017 in which 1,100,000 sq ft was transacted. Total take-up in Edinburgh reached 301,713 sq ft between July and October, an increase of approximately 30% year-on-year, spread across 49 deals. The largest occupier deals saw Royal London secure 47,000 sq ft at 22 Haymarket Yards, while Brodies pre-let 43,000 sq ft and Pinsent Masons pre-let 27,000 sq ft at Capital Square. 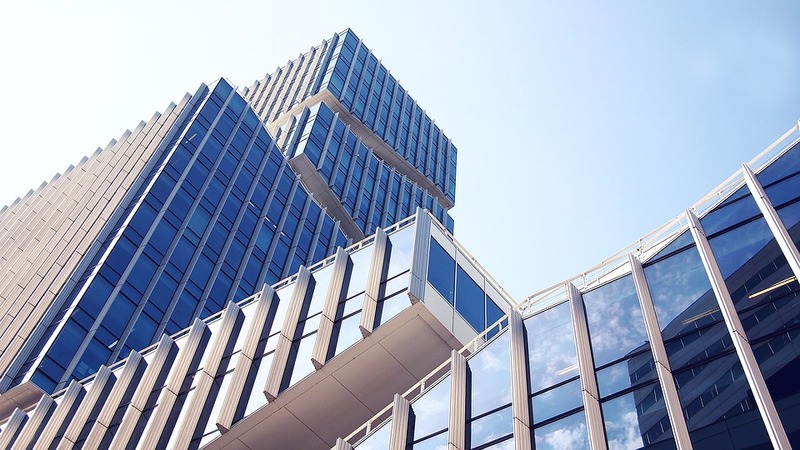 Despite the prospect of another bumper year for the capital’s office market, grade A availability and the pipeline of new office space remain a major problem. Is London’s position as the largest international center of finance slipping as a result of Brexit? London has been a critical artery for the flow of money around the world for centuries. The financial services sector accounts for about 12 percent of Britain’s economic output, employs about 1.1 million people and pays more taxes than any other industry. From its traditional City heartland to the brash Canary Wharf skyscrapers and plush Mayfair townhouses, London represents one of the greatest concentrations of financial wealth on earth. Its only rival, New York, is centred on American markets, while London has more banks than any other hub, dominates markets such as global foreign exchange and commercial insurance and is home to international bond trading and fund management. But about a third of the transactions on its exchanges and in its trading rooms involve clients in the European Union. These may be jeopardized after Brexit unless Britain manages to maintain similar levels of access to the trading bloc. The French finance minister predicts Paris will overtake London as Europe’s most important financial center in a few years, although supporters of leaving the EU say Britain will benefit over the long term by setting its own rules. London remained top of the rankings in the annual Global Financial Centers Index released this week by Z/Yen Partners and the China Development Institute, although the gap between it and New York in second closed to one point on a scale of 1,000 and its rating rose by less than the other four top centers. Reuters is publishing its second Brexit tracker, monitoring six indicators to help assess the City’s fortunes, taking a regular check on its pulse through public transport usage, bar and restaurant openings, commercial property prices and jobs. Almost a year before Britain is due to leave the EU, the tracker suggests London’s financial districts have been held back, but there is no evidence of a mass exodus. “London has not come close to taking a mortal blow or anything like it … The increasing uncertainty though over London’s future has led to a stall in its growth,” Michael Mainelli, Executive Chairman of Z/Yen, told Reuters. Firms employing the bulk of UK-based workers in international finance told Reuters that the number of finance jobs they plan to shift out of Britain or create overseas by March 2019 due to Brexit has dropped to 5,000, half the figure six months ago. This comes amid more conciliatory signals from British Prime Minister Theresa May, while progress in talks with the EU have prompted some companies to delay large staff moves. The findings suggest that the first wave of job losses may be at the lower end of initial industry estimates, meaning London will keep its place as the continent’s top finance center in the short term. London’s finance industry should emerge largely unscathed from Brexit even if thousands of jobs move, the City of London’s political leader Catherine McGuinness says, adding that it could take years to feel the full impact of Brexit. The number of available jobs in London’s financial services industry fell the most in six years in 2017, said recruitment agency Morgan McKinley which hires staff in finance. The recruiter found 82,147 new financial services jobs were created last year, a 12.45 percent drop on a year earlier. This is the lowest number of jobs available since 2011. “Brexit has stalled the growth of jobs. Companies are reluctant to make major investment decisions at the moment,” said Hakan Enver, operations director at Morgan McKinley Financial Services, which carried out the survey. Savills says commercial property prices in the City of London are now at the highest level since the third quarter of 2016, three months after the Brexit vote, driven by a surge in office purchasing and leasing in the final quarter of 2017. The price of renting real estate in the City of London district rose 9.5 percent in the last three months of the year, climbing to 78 pounds ($107) per square foot, from 71.21 pounds in the third quarter of 2017, Savills says. In Canary Wharf, prices were also unchanged in 2017 compared with the year before, Knight Frank, whose data comes from landlords, developers and agents, says. Reuters filed Freedom of Information Act requests to Transport for London, to get this data which shows that the number of people using Bank and Monument stations is on course for its first fall since the final year of the financial crisis. Travelers going in and out of Bank and Monument fell by a fifth in 2017 compared with 2016, the data shows. This follows an annual increase each year since 2009. In Canary Wharf, the number of people using the station fell by 10 percent, while the number of people using London’s underground network fell about 2 percent overall last year. Mike Brown, the commissioner for Transport for London, said it is struggling to explain the drop in passenger numbers. 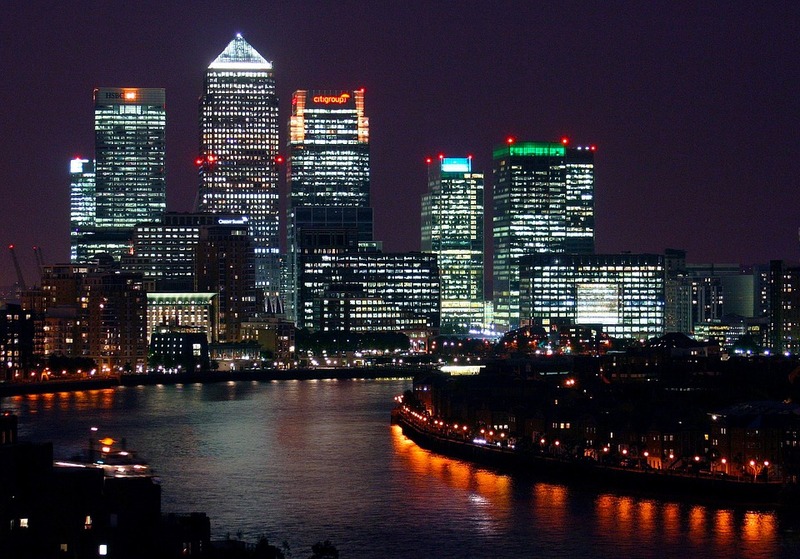 Canary Wharf’s owners did not respond to requests for comment. The number of passengers using London City Airport, a popular gateway for finance executives, fell for the first time since the final year of the 2007-2009 global financial crisis in 2017, its publicly available figures show. The number of passengers at the airport, close to Canary Wharf’s financial district, fell 0.2 percent last year. That compares with an average annual 8.8 percent increase in the previous six years. London City Airport said the stagnating numbers were partly caused by some airlines cutting routes. “We are very confident about the long term future prospect of London City Airport and aviation in the UK, with passenger growth expected to resume in 2018,” a spokesman said. Reuters filed a Freedom of Information Act request to the City of London Corporation to find the number of new premises which have applied for license to sell alcohol and license renewals. The number of venues, such as bars and restaurants, with license to sell alcohol in the City of London in 2017 fell 1.6 percent, data from the municipal local authority shows. The number of venues applying for new licenses was flat compared with 2016, the data shows, although the City of London Corporation said such fluctuations were normal. “As some establishments close and others open, it is inevitable that licensing renewal figures will fall and rise but overall, the number of licensed premises in the City has steadily increased in recent years,” it said in a statement. SCOTLAND’S commercial property market showed an “encouraging” six per cent annual total return in 2017. Data from property consultant CBRE reveals the total 2017 return for Scotland was 6.8 per cent, comparing favourably with the UK’s 10.2 per cent. Measured by the IPD Quarterly Index, the research found over the fourth quarter, the total property return was 2.1 per cent, up from 1.7 per cent in quarter three. This increase is attributed to improved capital growth, with average capital values up by 0.6 per cent. This represented the bulk of capital appreciation during the year, given the total uplift in 2017 was just 0.9 per cent over the calendar year. Industrials have been the key differentiating factor in the UK’s relative outperformance against Scotland, with the pace of rental growth in the London and South East industrial markets notably outperforming rental growth in any other commercial real estate sector. However, for some other sectors, the performance gap between the UK and Scotland has narrowed, notably high-street shops and offices. Office sector total returns for Q4 rose to 2.2 per cent, an increase from 1.6 per cent in Q3, representing the largest quarterly uplift in returns for any of the three principal sectors in Scotland. It was also the highest total return for the Scottish office sector since the final quarter of 2015. This led to an annual total return of 5.9 per cent in 2017, in contrast to -0.2 per cent in 2016. Despite capital value growth throughout the second half, it was not quite enough to reverse the loss incurred in the first half which felt the effects of Brexit. Total returns in retail saw a slight increase from 1.4 per cent in Q3 to 1.5 per cent in Q4, while the UK-wide figure saw a marginal slip. The annual total return for retail in 2017 was 5.8 per cent, a marked improvement on the one per cent return achieved in 2016. Over the course of the past twelve months, capital growth for Scottish retail has been virtually flat, despite average rental growth on 0.5 per cent over the year. Once again, industrials were the best performing of the three main sector groups in 2017, producing a total return of 7.9 per cent during the year compared to 4.3 per cent achieved in 2016. Industrials were the only sector to experience substantive capital growth in 2017, with values increasing by 5.5 per cent on average, and rental value up by one per cent over the same period. Like other sectors, growth rates improved during the course of the year. Capital values were up two per cent alone in Q4, leading a quarterly total return of 2.5 per cent. The industrial markets in Glasgow (14.2 per cent) and Edinburgh (11.6 per cent) were the only two city groupings to achieve double-digit returns in 2017. The market in Aberdeen continues to lag significantly behind the central belt cities, but at 2.8 per cent the industrial sector is now producing positive returns. Aberdeen’s other two sectors remain weak, with the retail sector just slipping into negative returns once again. Steven Newlands, an executive director at CBRE, said: “These results are encouraging for the investment market in Scotland, where sentiment improved following the general election result last year, which reduced, in investors’ eyes, the likelihood of a second independence referendum.